City councilors unanimously back Deputy Chief Jared Mills in during changing of the guard. AUGUSTA — It was a ceremonial changing of the guard Thursday as city councilors praised Police Chief Robert Gregoire for his years protecting the city as his retirement nears, and confirmed the appointment of Deputy Chief Jared Mills as the city’s next police chief. Mills was nominated for the chief’s job by City Manager William Bridgeo, and Gregoire, too, endorsed Mills as his successor. Councilors noted Mills’ selection for the top job in the department is a reflection of his time spent working with Gregoire. Councilors voted unanimously to confirm Bridgeo’s appointment of Mills as police chief. Mills said he hopes to continue the success the police department has seen under Gregoire’s leadership. Gregoire, 52, of Augusta, announced in January that he plans to retire at the end of May, concluding 30 years with the department. He’s worked for the Augusta Police Department since he was 22, when he was the youngest officer on the force, a patrol officer. He worked his way up the ranks to be appointed police chief in 2011. Gregoire is retiring as police chief, but Bridgeo announced Thursday that Gregoire will remain a city employee. He will take a part-time position at the city-owned Buker Community Center, where Bridgeo said he’ll serve as the public face of the center, which is home to the city’s recreation department, the Augusta Boys and Girls Club for Teens, and other offices and programs. In 2014 he was critically injured in a motorcycle accident that initially left him unable to move his arms and legs. He was out of work for three months, with Mills taking command of the department while he was out. Gregoire returned to work in January 2015 and has worked to rehabilitate and regain the ability to move, while continuing to do his job as chief. 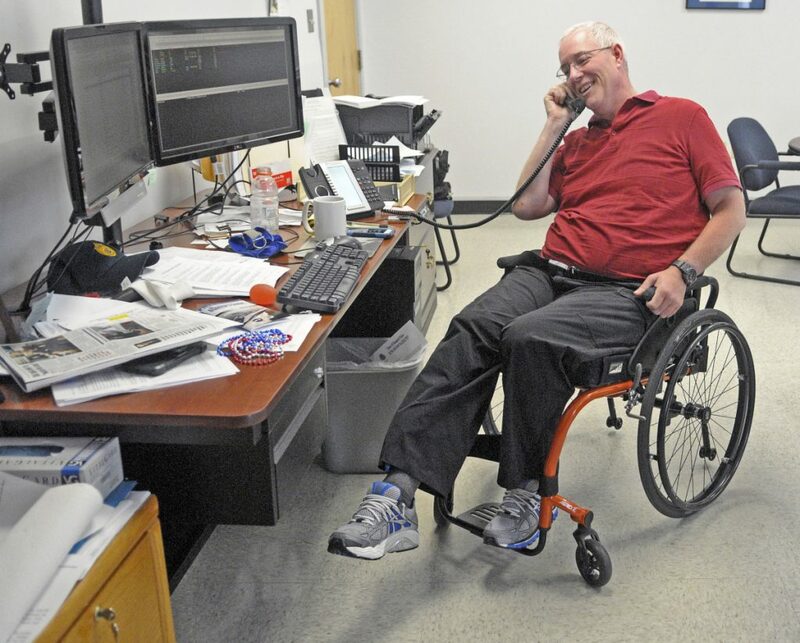 While he continues to use a wheelchair, in May 2016, in an emotional moment, he stood up from his chair and walked up to the lectern at a City Council meeting to speak, drawing a standing ovation. Bridgeo said Mills, an Augusta resident, would start as chief June 1. He will be paid a salary of $96,000. He was hired as a patrol officer in 1998. He has since worked as the city’s traffic safety officer, then as a detective, then a patrol sergeant, a detective sergeant, lieutenant and, finally, deputy chief. 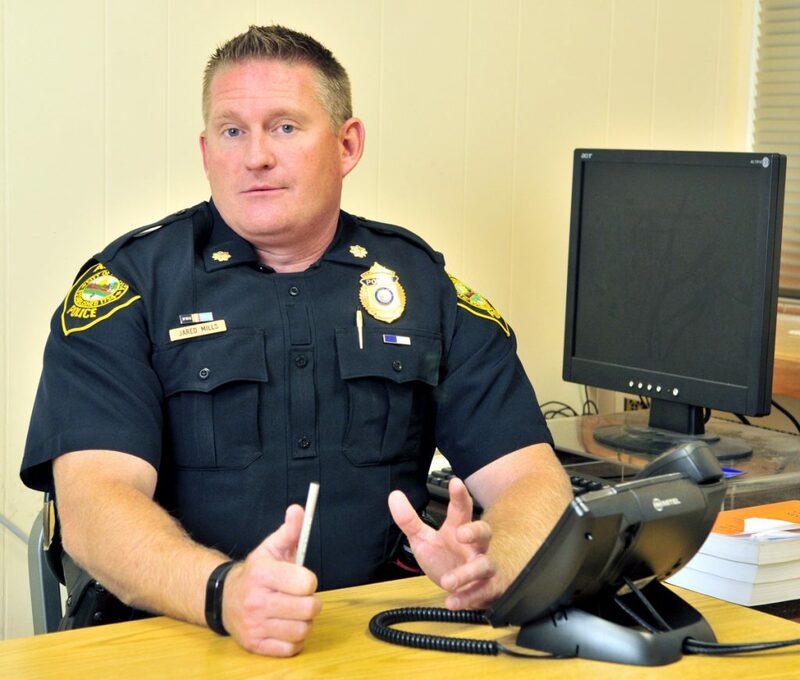 Bridgeo said he might normally, faced with a need to find a new police chief, conduct a full search and advertise for applicants and conduct interviews before making a nomination for police chief. But he said he saw no reason to do that given that city officials have had numerous chances over the years to get to know and assess Mills. Also recognized by councilors Thursday was Lionel Cayer, city engineer since 1998, who also is retiring at the end of the month. Cayer, 61, of Whitefield, has worked for the city since 1984. He was a major force behind the development of the 6.5 mile Kennebec River Rail Trail, between Augusta and Gardiner, and remains on the trail’s board of supervisors. Cayer said he’s grateful that one of the last projects he was a part of was the extension of the rail trail to its intended starting point, in the city’s west side waterfront park. He said the trail is one of the projects he is most proud of in his time with the city. “Others said you’ll never get the approvals,” he said of the challenges posed in getting the trail that follows alongside railroad tracks and the Kennebec River. “Now when I see the amount of people using that trail, getting out of their cars, talking to each other, having healthier hearts because of that, that’s one of the projects that has been a real pleasure to work on and see to fruition,” Cayer said. He said he plans to open a civil engineering consulting firm. Bridgeo said Cayer set very high standards for all in the city. Rollins said Cayer saved the taxpayers of Augusta every day he worked and would be hard to replace.